Called Lokosh (Gourd) in Chickasaw, Joshua is a Chickasaw linguist, artist and cultural historian, described as "one of the most ambitious and hardest-working language workers in the country." 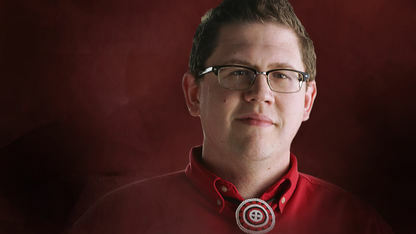 Currently, Joshua is the youngest conversational speaker of the Chickasaw language. He has translated multiple selections from the Bible into the Chickasaw language, and this marked the first time passages were made available to the Chickasaw community, among others that study the Chickasaw language. Joshua is also a trained artist, and many of his works can be found at the Chickasaw Cultural Center in Sulphur, Oklahoma. He believes firmly in the revitalization of native languages and encourages his Chickasaw people to practice speaking Chickasaw in their homes, because they are the ones who will carry on the spoken word of the Chickasaw people.